The three-stage development of Temple Quay was designed to provide a mixed-use area of retail, housing and high profile office space alongside Bristol’s historic waterways. The development included the use of environmentally friendly transport links to the heart of the city via ferries, trains, cycle paths and pedestrian routes. The flagship urban regeneration project aimed to attract people and businesses to the region, through the regeneration of a historically important brownfield site. The project also aimed to create a sustainable, cost effective business zone to meet the increasing demand for high quality office environments. 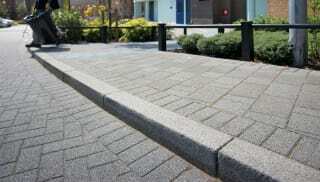 Various styles of Marshalls concrete block paving were used throughout the site to provide an aesthetically attractive counterpart to the prestigious office buildings, as well as to delineate cycle paths and pedestrian routes. 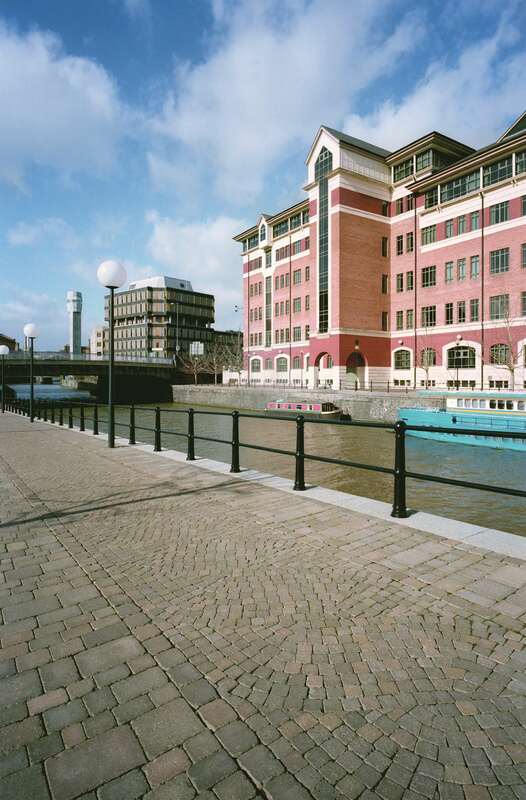 The flagship Bristol and West building was faced with Marshalls’ Cambridge Burwell White and Lincoln Red Facing Brick, while Conservation and Silver Grey Mistral Paving were used to complement the architecture. 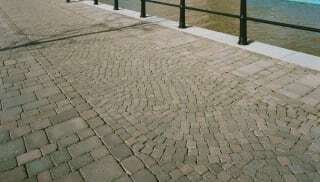 Natural Stone Setts and Pennant Grey Tegula Paving were laid along the quaysides in a rope-like design to reflect Bristol’s maritime heritage. 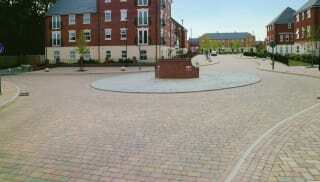 Marshalls’ Savanna Paving was used for the roadways to provide a smooth running surface, with Mistral and Tegula Sett Paving delineating the footpaths and shared quayside surfaces. 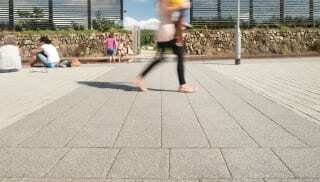 The aesthetic appeal of Marshalls’ concrete block paving products has contributed to the transformation of 60 acres of brownfield land into one of the most acclaimed urban regeneration projects in the UK.